The bariatric program at Northwest Texas Healthcare System offers weight-loss surgery, using both standard and minimally invasive techniques, that can help people lose weight and improve their health. Nearly 35 percent (78.6 million) of U.S. adults are obese, according to the U.S. Centers for Disease Control and Prevention. Obesity-related conditions include heart disease, stroke, type 2 diabetes and certain types of cancer, which are some of the leading causes of preventable death. Texas now has the 11th highest adult obesity rate in the nation, according to The State of Obesity: Better Policies for a Healthier America, a project of the Robert Wood Johnson Foundation. As of 2015, Texas's adult obesity rate was 31.9 percent, up from 21.7 percent in 2000 and from 10.7 percent in 1990. If you've tried diets, exercise and other ways to lose weight, and nothing has helped, bariatric surgery at Northwest Texas Healthcare System could be an option for you. 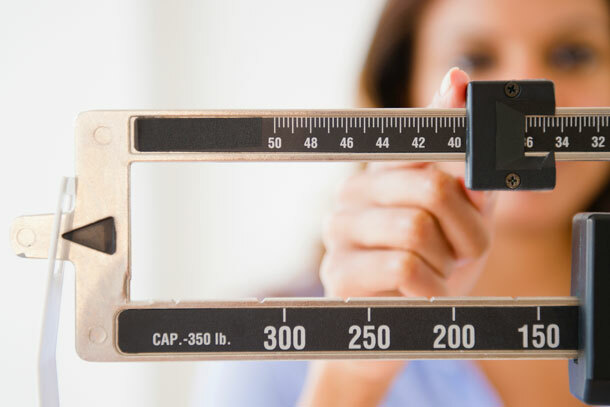 The bariatric program has been accredited as a Metabolic and Bariatric Surgery Accreditation and Quality Improvement Program (MBSAQIP®) Accredited Center-Comprehensive Center with Adolescent Qualifications. This is a joint program of the American College of Surgeons (ACS) and the American Society for Metabolic and Bariatric Surgery (ASMBS). The bariatric surgery program at Northwest Texas Healthcare System has been designated a Blue Distinction® Center. Surgeons at Northwest Texas Healthcare perform several types of bariatric procedures: gastric bypass surgery, gastric sleeve surgery and the duodenal switch procedure. Gastric sleeve surgery is generally done as a minimally-invasive laparoscopic procedure, in which a small incision is used, and a tiny camera, called a laparoscope, is inserted into the body to guide the physician. In this procedure, the surgeon removes part of the stomach and creates a new, tube-shaped stomach known as a “sleeve." This reduces the size of the stomach and restricts the amount of food that can be eaten at a time. Weight loss is slower than is seen in gastric bypass surgery. In the duodenal switch procedure, the surgeon creates a sleeve, similar to gastric sleeve surgery, which is then attached to the last part of the small intestine. The small intestine absorbs the calories and the nutrients, bypassing all but the last section of the small intestine causing fewer calories to be absorbed. The duodenal switch is performed as a minimally-invasive laparoscopic procedure, in which five small incisions are made, and a tiny camera, called a laparoscope, is inserted into the body to guide the physician. Patients report less restriction on food consumption than with other bariatric procedures. In gastric bypass surgery, the surgeon reduces the size of the stomach. He or she will use staples to divide the stomach into a small upper section and a larger lower section. The top section of the stomach (known as the pouch) is where the food will go. The pouch will only hold one ounce of food until it digests. The surgeon will then connect a part of the small intestine to a hole in the pouch. Food will now travel from the pouch directly into the small intestine. As a result, the body will absorb fewer calories. Gastric bypass surgery can be done as open surgery, with a large cut in the belly, or as a laparoscopic procedure, in which a smaller incision is used, and a tiny camera, called a laparoscope, is inserted into the body to guide the surgeon. To find a doctor who performs bariatric surgery at Northwest Texas Healthcare System, contact our free physician referral service at 800-887-1114.